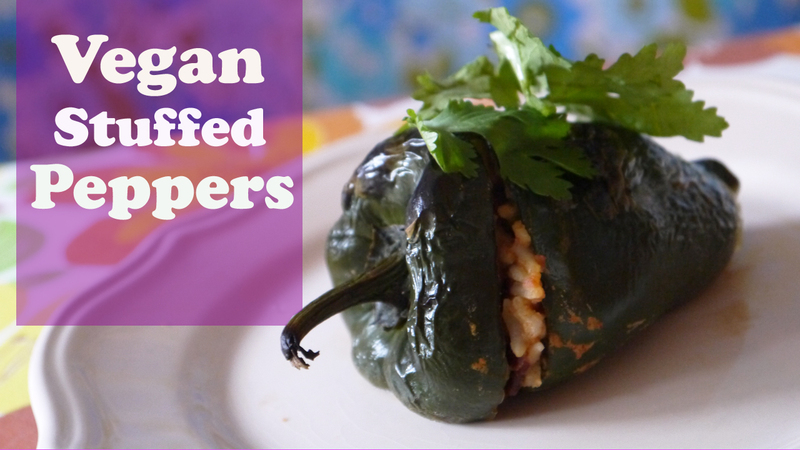 Stuffed peppers can be filled with many different things: from rice, to beans to ahem - meat. There are zillions of variations of this recipe coming from every corner of the globe. This one so happens to be Mexican inspired, but feel free to add your own favourite ingredients. My Nonna (Italian Grandmother) stuffs hers with risotto and cooks them in broth and white wine - quite different than this recipe but goes to show how versatile this dish can be! Choose whichever kind of pepper you like. I'm using poblano in this video, which has a very gentle spicy zip-zap. They are quite small and cook in about 30 minutes. If you are using a larger pepper such as green/red/yellow/orange bell pepper, you may need to cook these babies longer. Watch for the trippy moment near the end. You recipe could serve as an ultimate rescue for vegetarians. I am always on hunt for good recopies. Thanks you so much for so delicious stock.